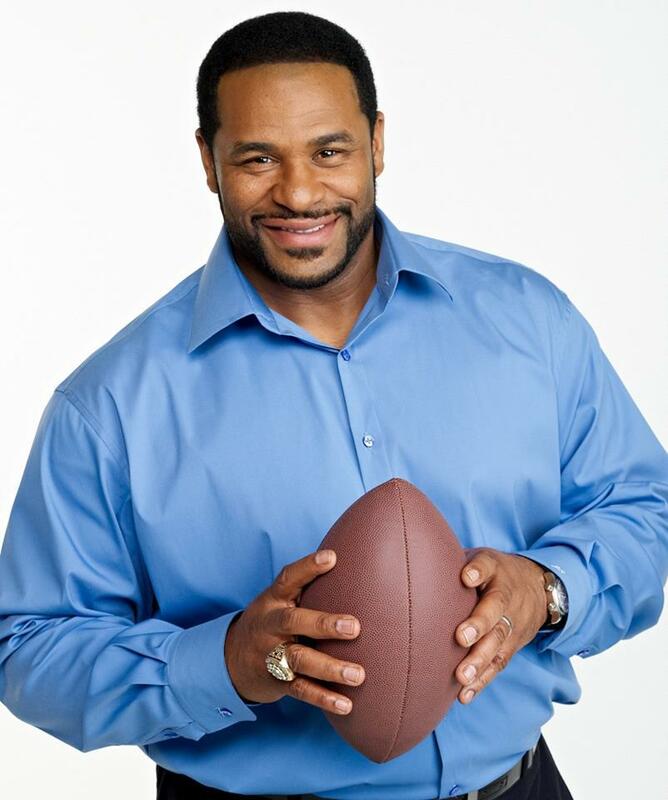 BRIDGEWATER, N.J., May 13, 2014 /PRNewswire/ -- Professional football icon Jerome Bettis, the Asthma and Allergy Foundation of America (AAFA) and Sanofi US, the makers of Auvi-Q(R) (epinephrine injection, USP), are asking What's Your AQ? in an effort to help improve America's understanding of severe, life-threatening allergic reactions (anaphylaxis) and to help clear up some common misconceptions. Bettis, who is severely allergic to shellfish, is challenging people to test their AQ, or Anaphylaxis Quotient, by taking the What's Your AQ? quiz. Developed with insights from AAFA and other members of the anaphylaxis community, the quiz was created to help people find answers to recurring questions around severe, life-threatening allergies including how to avoid allergens, recognize symptoms and treat anaphylaxis. "From our daily interactions with adults and children who are at risk for anaphylaxis, including parents, caregivers, the newly diagnosed and long-time patients, it's clear there is a need for continued education," said Mike Tringale, Senior Vice President at AAFA. "The right knowledge can be life-saving, and the What's Your AQ? quiz is a new and engaging way to help everyone learn more about preventing anaphylaxis and learn more about being prepared in the event of an emergency." According to "Anaphylaxis in America", a 2011 landmark survey of 1,000 adults sponsored by Sanofi US, as many as 1 in 20 adult Americans is at risk for anaphylaxis. This is why avoiding allergens and being prepared are important considering a reaction can happen quickly and can cause death in minutes. "I was diagnosed with my severe allergy more than 27 years ago and while I always considered myself knowledgeable about my condition, I realized even after all these years there's always more to learn," said Bettis, who is once again teaming up with Sanofi US to promote anaphylaxis awareness. "As an example, when I first began working with Sanofi, I learned the importance of making sure I always carry two Auvi-Q epinephrine auto-injector devices with me at all times." Introduced last year, Auvi-Q is the first-and-only epinephrine auto-injector with audio and visual cues that talk you through the injection process. Auvi-Q is for the emergency treatment of life-threatening allergic reactions in people who are at risk for or have a history of anaphylaxis. Auvi-Q is for immediate self (or caregiver) administration and does not take the place of emergency medical care. Seek immediate medical treatment after use. The size and shape of a credit card and the thickness of a smartphone, Auvi-Q is a breakthrough in epinephrine auto-injector design. To take the online quiz and to learn more about Auvi-Q, visit www.Auvi-Q.com/WhatsYourAQ. Auvi-Q (epinephrine injection, USP) provides users with audible and visual cues, including a five-second injection countdown and an alert light to signal when the injection is complete. In addition to being an auto-injector, Auvi-Q features an automatic retractable needle mechanism designed to help prevent accidental needle sticks. Auvi-Q is available in two dosages. Auvi-Q 0.3mg delivers 0.3mg epinephrine injection and is intended for patients who weigh 66 pounds or more. Auvi-Q 0.15mg delivers 0.15mg epinephrine injection and is intended for patients who weigh 33 -- 66 pounds. Auvi-Q has not been studied in patients weighing less than 33 pounds. Each Auvi-Q pack contains two active devices -- containing one dose of epinephrine each -- and a training device that does not contain epinephrine, which is provided for practicing. The inventors of Auvi-Q received the George DiDomizio Industry Award as part of the 16(th) annual ISMP Cheers Awards. This award recognizes individuals, organizations, and companies that have set a standard of excellence for others to follow in the prevention of medication errors and adverse drug events. Auvi-Q (epinephrine injection, USP) is used to treat life-threatening allergic reactions (anaphylaxis) in people who are at risk for or have a history of these reactions. Talk to your healthcare professional to see if Auvi-Q is right for you. For more information about Auvi-Q (epinephrine injection, USP), visit www.Auvi-Q.com. The Asthma and Allergy Foundation of America (AAFA), a not-for-profit organization founded in 1953, is the leading patient organization for people with asthma, allergies and related conditions. AAFA provides practical information, community based services and support through a national network of chapters, support groups and local community partners. AAFA develops health education, organizes state and national advocacy efforts and funds research to find better treatments and cures. Learn more at www.aafa.org. Sanofi, a global and diversified healthcare leader, discovers, develops and distributes therapeutic solutions focused on patients' needs. Sanofi has core strengths in the field of healthcare with seven growth platforms: diabetes solutions, human vaccines, innovative drugs, rare diseases, consumer healthcare, emerging markets and animal health and the new Genzyme. Sanofi is listed in Paris (EURONEXT: SAN) and in New York (NYSE: SNY). Sanofi is the holding company of a consolidated group of subsidiaries and operates in the United States as Sanofi US. For more information on Sanofi US, please visit http://www.sanofi.us or call 1-800-981-2491.